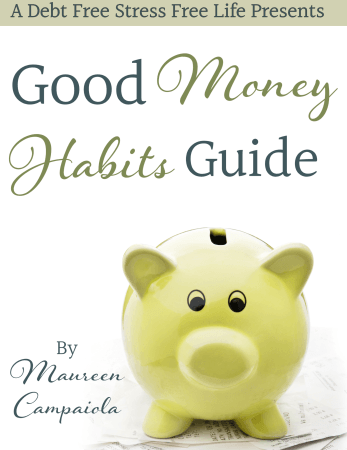 Now it’s crystal clear why you need Good Money Habit #7 so much! Since you’ll be converting to cash, you’ll need your wallet to be super organized. We live in the age of plastic, and it’s ruining many of us financially. Do you know why, when you step into a casino they require you to convert your cash into chips? It’s so you can be disconnected to your money. Most people would stop dead in their tracks rather than gamble away hundreds of dollars. But by converting to chips, you feel like you’re playing with Monopoly money, and so you continue to gamble in a haze. The same thing happens with credit cards. Have you ever gone to a store with a specified purchase in mind, only to come home and discover you bought way more than you intended? It’s credit card haze – just like gambling haze. The easiest way to fix this is to stop using credit cards and debit cards and convert to cash. Now, I’ve heard all the excuses why someone can’t make the conversion, and there’s no reason I can’t argue against (but you can try if you want). The one reason I hear more than any other has to do with earning those points that you can then convert into gift cards, free trips and more. But is that a great reason to not stop using credit cards? No, not when you realize what you’ve paid in interest to get those points. It’s not easy to quit credit cards, but many people have done it. So go ahead, get rid of your credit cards and go to the bank and get some cash. It’s time to get reacquainted with your money in an intimate way. Watch what it feels like to spend cash instead of swiping a credit card. Hold it in your hands and notice what it feels like to hand over money instead of a credit or debit card when you make a purchase. When people convert to cash, a couple of things happen. First, you automatically start spending less money. It’s harder to part with money, so it stands to reason that you’d start spending less. Second, you start making more conscious choices about how you’ll spend your money. You’ll find yourself putting things back on the shelves or choosing not to buy something you had your eye on. No matter what happens, you’ll start changing your spending habits just because you’re using cash instead of plastic.